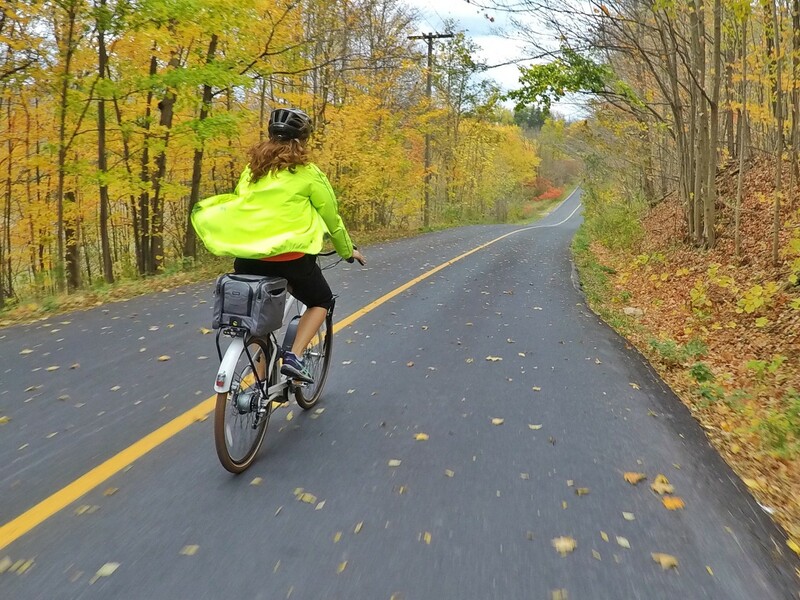 There are few regions in Ontario that can boast a more complete cycling offering than Kawarthas Northumberland. 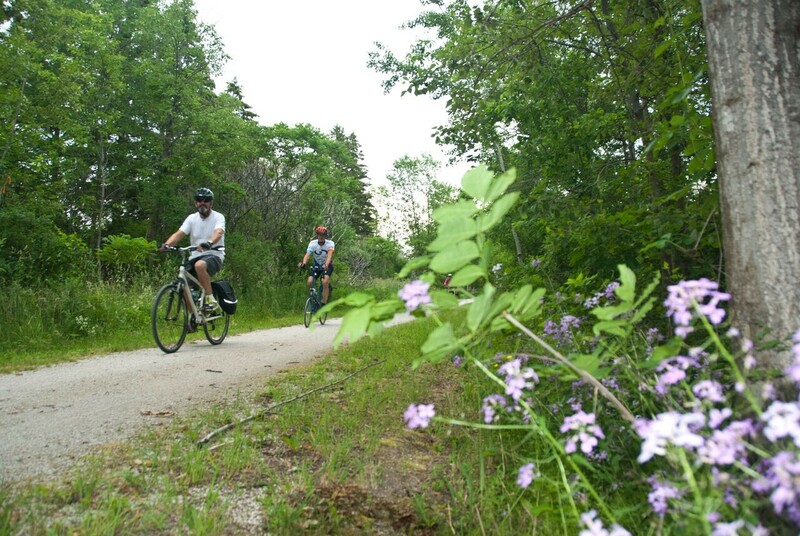 From a rail trail network that spans over 200km and connects urban centres with quaint villages to over 1,000km of signed routes that touch every corner of the region from Lake Ontario, north through to the heart of Ontario's cottage country, the region has something for everyone. 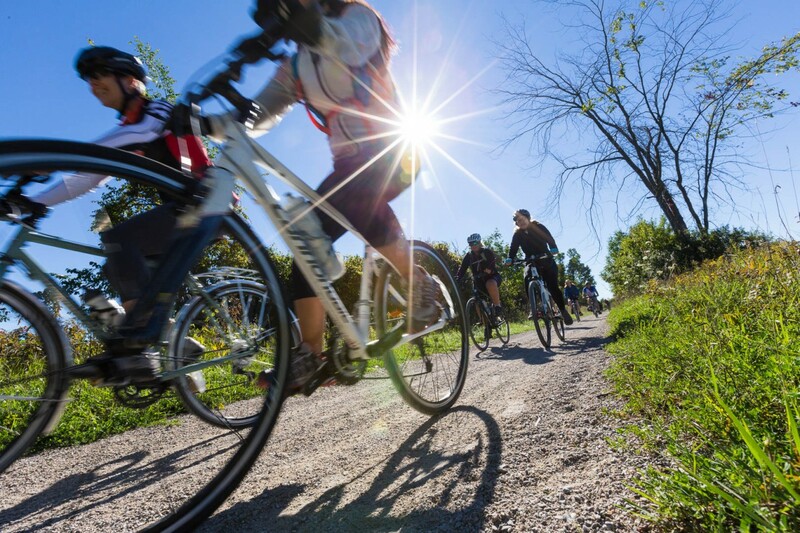 If you have spent anytime cycling in Ontario, chances are you have already experienced some of the top trails and rides in southern Ontario and are looking to set your sights and spin your wheels on new routes. 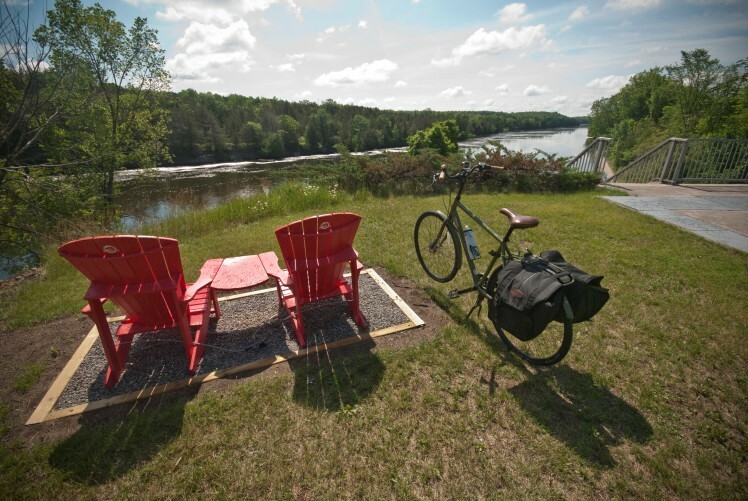 Why not make 2019 the year to ride the north, exploring more of northern Ontario by bike? It’s the morning of the third day, or maybe the fourth. Truthfully, it’s starting to be a bit of a blur, and I’m feeling pretty moody. I can tell that my body doesn’t understand what I am doing to it, and I’ve never done anything like this before. I mean, six days of cycling? Seriously? When the group of 35+ riders set off from Comber on the Saturday of the 2018 Labour Day long weekend here in Canada, it was already heating up and most knew it was bound to be scourcer. 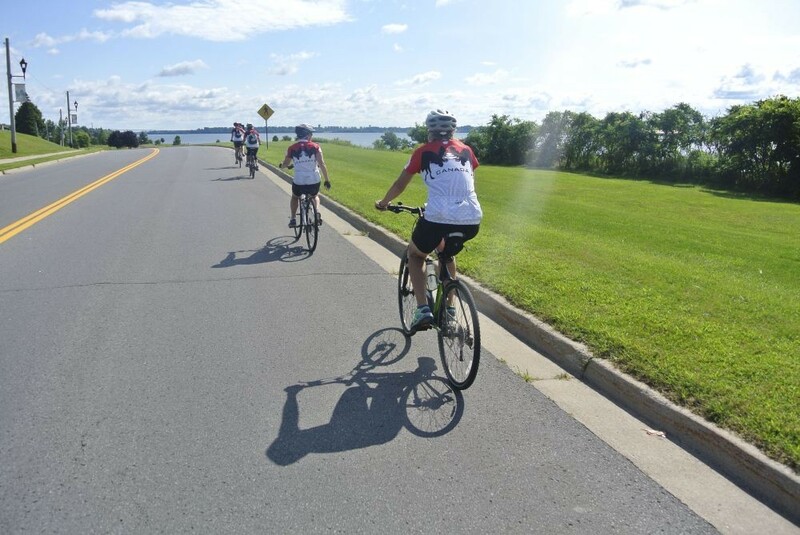 It didn't take long for riders of the Essex Windsor Loop, an Ontario By Bike Ride and small group tour, to get right into the quiet countryside amongst the corn fields and wind turbines. 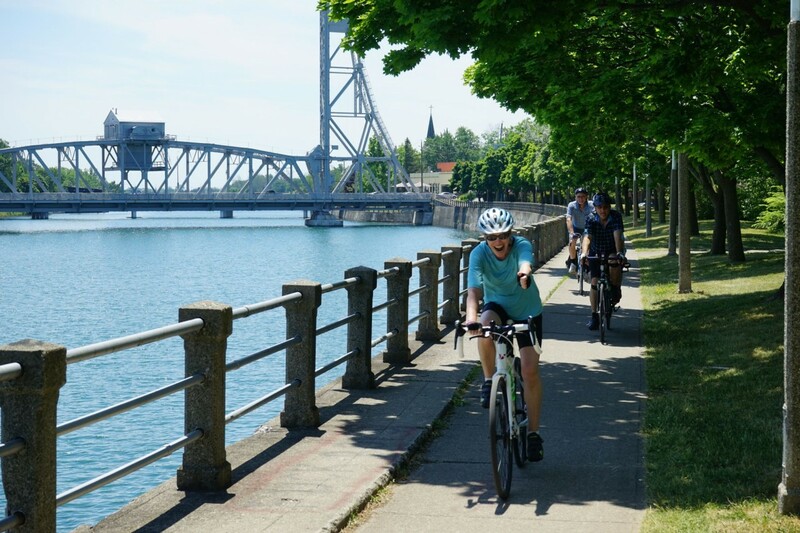 Less than three hours’ drive from Toronto, southwestern Ontario’s Blue Coast offers some of the best waterfront cycling in Ontario, with over 200 kilometres of waterfront to explore. Discover two internationally renowned Blue Flag beaches as well as awe-inspiring natural scenery, impressive local art, and sumptuous local food and drink. This article was originally published in the 2018 Cycling in Ontario Guide and was writtern by Bonnie Munday. There are so many good reasons why it’s a great idea to do a ride for a charitable cause. For me, setting a goal of doing my first one several years back was the perfect excuse to improve my performance on my road bike. Since then I’ve done a handful more and have never regretted it. Here’s a little primer. About 2 hours east of Toronto, nestled in the northeastern corner of Northumberland County, is the community of Campbellford. Not to be mistaken with Campbellville or Campbellcroft; Campbellford is perched upon the Trent Severn Waterway on the northern boundaries of the county. The rural setting and scenic countryside, make this area a perfect spot to get out on the quiet paved roads and clock some kilometres on a bike. Whether you notice as they whiz by you on your push pedals or you’re an innocent bystander noting something just isn’t right with the ease of speed and rider, a second glance may answer the question. What may appear to be a regular bike may indeed be sporting a chargeable battery pack, with pedal assist kicking the bike into an accelerated speed. Looking to shake up your cycling season? We suggest a milk shake! 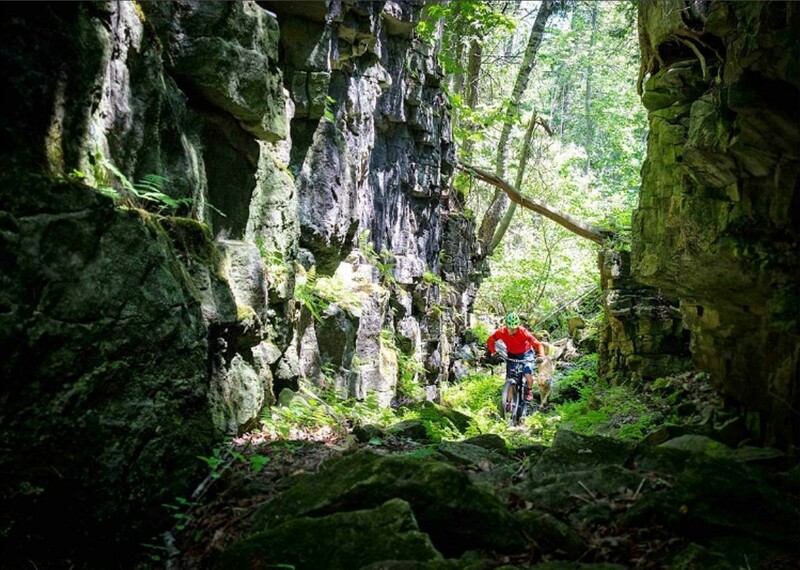 Oxford County isn't just the Dairy Capital of Canada, the region is also gaining quite a reputation as a great destination for on- and off-road cycling. The reasons to Ride Oxford are lengthy but we have shortened it to a simple five for your reading pleasure. On the coldest days of the coming winter, reflecting back on the September ride will be sure to bring warmth to the tingling toes and fingers of each rider. 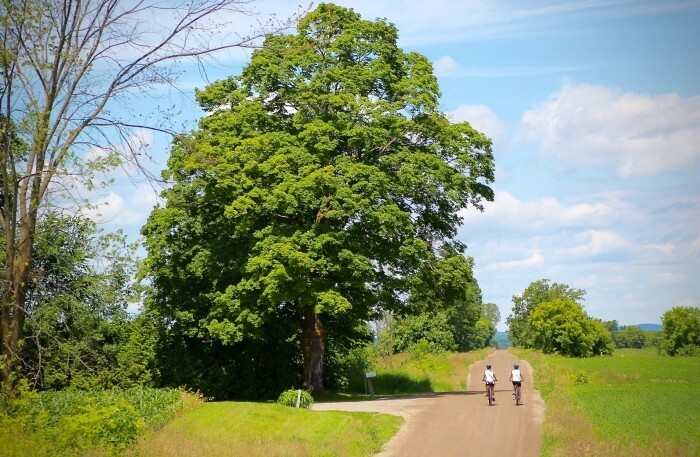 With heat advisories and record breaking temperatures the most recent Ontario By Bike Ride weekend on the Uxbridge Kawarthas Trans Canada Trail will go down in history as the hottest one to date. You`ve heard of cyclocross, right? Some have probably seen a growing number of `cross`bikes at their local bike shop and wondered, "Why are there nobby tires on that road bike?". 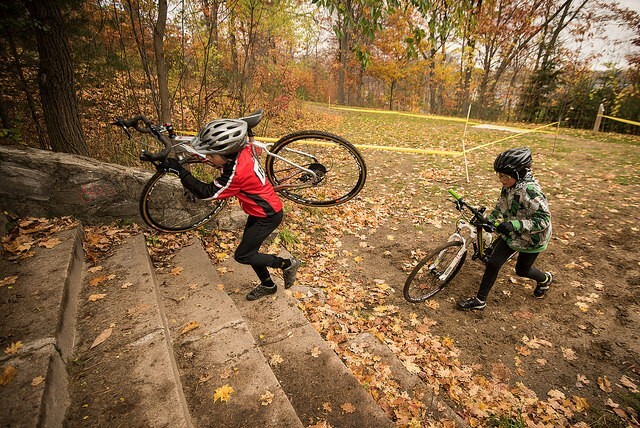 We wanted to get some of the fundamentals sorted out for you, so we reached out to John Hauser, Event Chief at The Silver Goose Cyclo-Cross Race based out of Midland, Ontario. We connected with John earlier in September and asked him to share his thoughts and what a beginner could expect on this emerging sport. It’s somewhat human nature to obsessively check a weather app the week prior to one’s holiday. As we approached the June 17-18 weekend, and the first Ontario By Bike Ride of 2017, we were willing the sun to persevere and to push away the severe thunderstorm warnings for Simcoe and Grey Counties. Regardless of what Mother Nature would throw at us, we were excited to embark on the new Georgian Bay Explorer route with a sold out tour along nearly 100km of rail trails and quiet rural roads throughout southern Georgian Bay from Stayner, through Meaford to Owen Sound. See the routing here. Exploring Ontario's National Parks with your Bike! It's a special year here in Canada with fantastic sesquicentennial events being held all across Canada, including Ontario. If there was ever a time to visit The Great White North, now's that time! To help celebrate this wonderful occasion and the amazing places Canada has to offer, Parks Canada in 2017 wants to give you unlimited opportunities to enjoy National Parks, National Marine Conservation Areas and National Historic Sites across the country - FOR FREE! Click here to order your 2017 Free Parks Canada Discovery Pass! 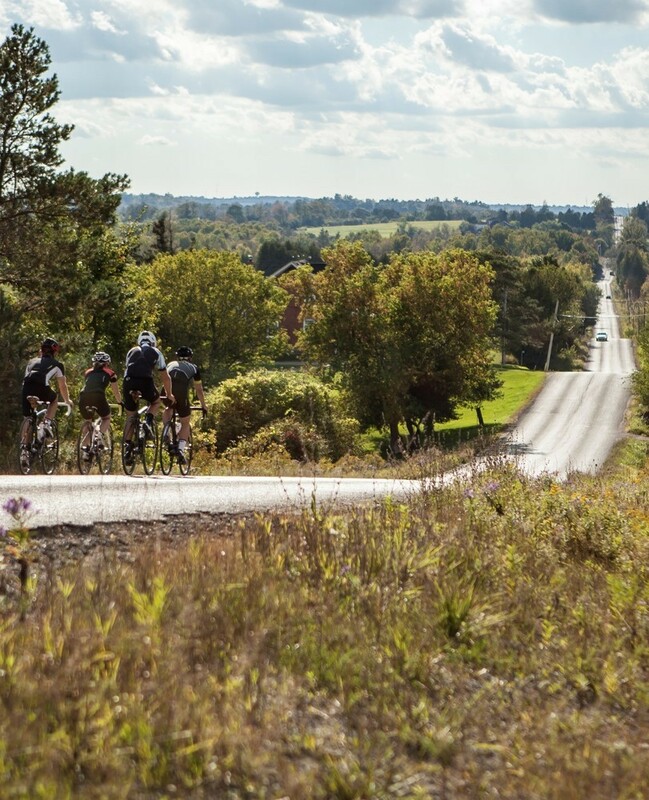 We thought it only appropriate to highlight some of the great cycling in and around Ontario's National Parks. While many don't allow cycling on trails, some have fantastic cycling opportunities both in the parks and in close proximity to them. Blog written by Mark McRoberts, a participant on the September 2016 Simcoe County Rail Trail Ride. Reproduced with permission for republication by Ontario by Bike. We had 2 full days of perfect cycling weather on the horizon, which just happens to coincide with our group ride with this nifty little organization: “Ontario By Bike”. Our family booked a weekend trip with them last year and had a good time. So we booked the three of us for this late September weekend tour and trail ride. Booking fall outdoor activities far in advance of any realistic weather forecast is always a bit risky. Occasionally, you can end up with a weekend like this one. A seemingly endless distance of quiet, well paved roads exists in Ontario just waiting for cyclists to put rubber to pavement. Take your pick of routes in some of the following destinations and start training for one of the events listed on our Events Page. 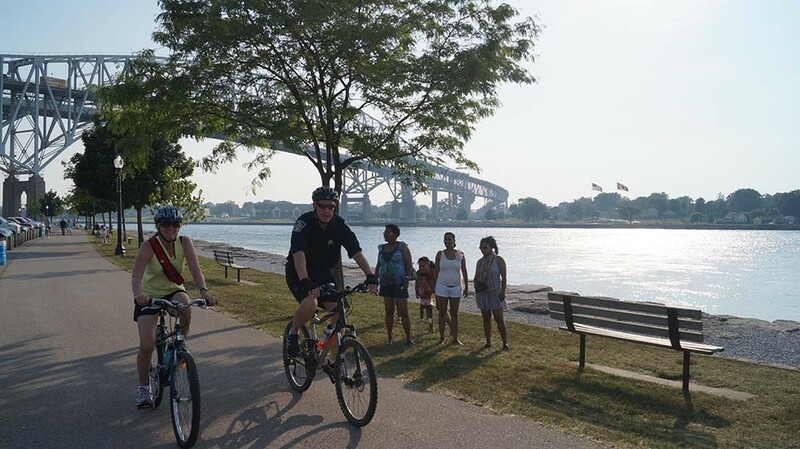 It had been awhile since I had gotten off the well beaten path and more popular cycling routes in Niagara that stretch between the Falls and Niagara-on-the-Lake. I was keen to head south to the quieter stretches I last had the chance to ride when we were still operating the Toronto Niagara Bike Train service with VIA Rail (now run with more summer frequency by GO Transit). 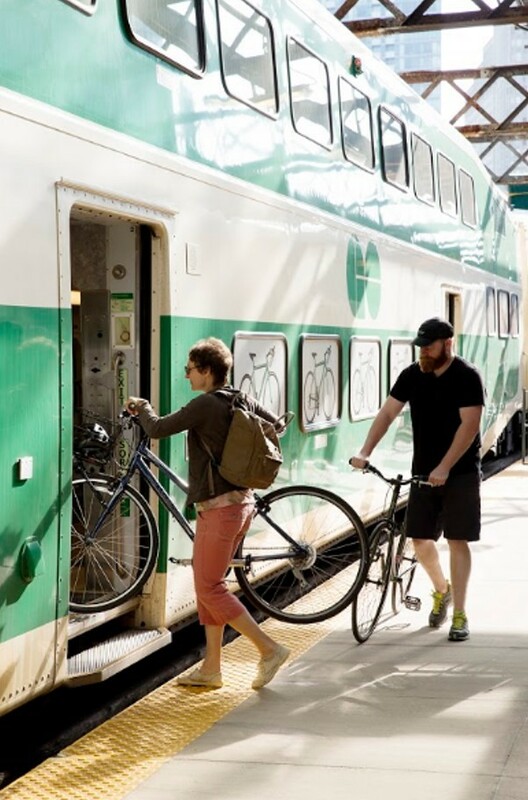 Not just a buzzword or an option in other destinations, combining cycling with different modes of travel in Ontario can be both convenient and add to your next bike adventure. 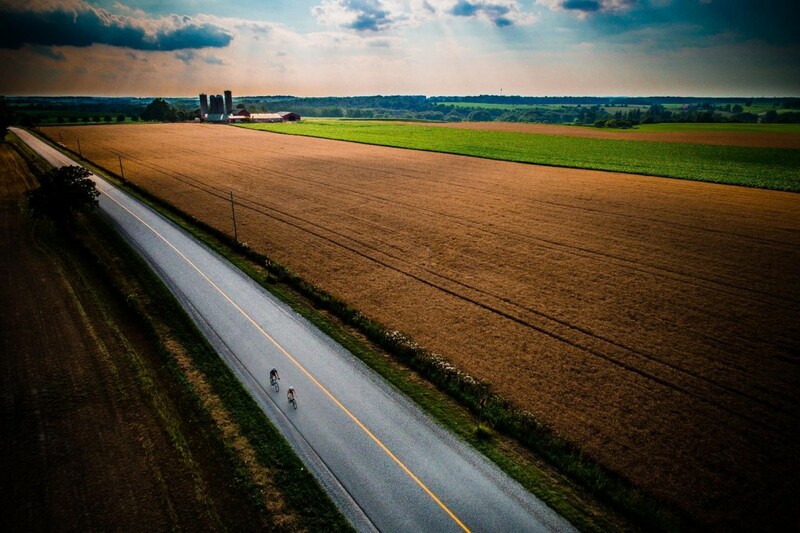 With the Canada Day long weekend quickly approaching, we wanted to offer up some inspiration with a selection of top cycling instagram picks from across province. Keep an eye out on our website, as we'll look to put these posts together every so often! 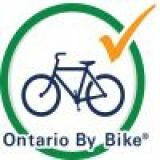 Tag your posts with #OntarioByBike to get your images into one of these posts!